These SIMs operate on a Global Overlay GSM Network created by a group of technology owners and a large team of global developers. 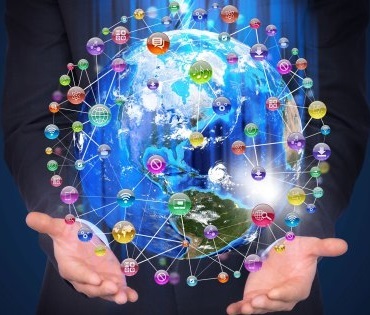 The product should operate in over 150 countries and is often working on multiple networks within any given country. Before inserting your SIM please make sure you have activated it by contacting your local dealer. Make sure your handset works in the country you are calling from. Best to test with another local SIM or your own home SIM to be sure? Does your phone find a strong signal and can you see a network name? Make sure your phone is not locked to use only your HOME MOBILE NETWORK SIM CARD. If this is the case, you will not be able to use any other SIM including ours until it is unlocked? You can often find local shops who can unlock your phone or you can contact the Mobile operator delivering this phone for an unlock code. If the phone is new and was subsidized by the network, they may want additional payment to unlock it? Generally our local dealers carry a stock of unlocked compatible handsets so feel free to request a local dealer to contact you using the form below? As this maybe a beta product please assist us by completing the support form immediately after making your first test calls? Completing all the requested details will make it possible to identify any local issues and change call routing where necessary to ensure your problems are corrected immediately? This is a list of short code commands which can be dialled on any phone using our Travel SIM products. SIMPLY KEY IN LIKE YOU WERE DIALLING A TELEPHONE NUMBER. On most phones you can also go into the SIM Menu on the phone (Often called the STK Menu) and inside this folder you will find most basic commands to check your balance & look up any assigned numbers etc. Please use this FORM to make contact with a local dealer or to enquire about the Global Dealer Program – Please note you will need an introduction from a licensed dealer to join this program. This activation page is for use of Travel SIM Beta Users and other Demos of various versions of Travel SIM. You will need the last six digits of serial number printed under the Bar Code on the SIM card surround and also shown on the SIM itself. LAST SEVEN DIGITS is usually enough. Also please indicate the Brand of the SIM and the dealers name or mobile number who issued the SIM. Please have a second live SIM available to provide a security link to your SIM. Please can you assist by completing this form with exact details so we can identify and resolve your problems? Please perform a RE-TEST of the call you made if possible before submitting here? Make sure on inserting the SIM you allow sufficient time (Can take a few minutes the first time you register in a new country. During this time, you may notice the SIM moving from one network to another. This is the process of moving from an initial global identity to a more local identity to reduce the cost of your calls, text & data. Make sure your SIM has been activated? If you have not registered it please do that now by completing this FORM. You may need to confirm your identity via your existing home SIM so make sure it is live and can receive a message. Make sure you have a STRONG SIGNAL as we must eliminate any local signal issues before testing. You could switch on and off your phone (A HARD RESET – REMOVING YOUR BATTERY CAN ALSO HELP) to be sure to find the best signal where you are testing from? ONCE YOU HAVE A STRONG SIGNAL PLEASE START THE TEST CALLS or move to a better location with a stronger signal? In some cases, to force the SIM to interact with a local network you may need to switch the SIM into another phone if your SIM does not pick up a network. Due to the abundance of Mobile Phones in the market, bear in mind that the Global SIM uses on board software inside the SIM to save the user needing to install applications on the phone itself. This means that not all phones are fully compatible and it is recommended that you test your phone of choice together with the local dealer before you travel, to ensure there are no issues. This should be done in both DIRECT dialling mode & INDIRECT Callback mode to ensure your phone model & firmware can properly cope when the SIM intercepts your call. Sometimes adding # at the end of your number can encourage some handsets to behave correctly. Our local dealers carry low cost compatible phones and this is often the preferred solution for carrying a global SIM on a tried and tested fully compatible second handset. This avoids the potential danger of losing your home SIM by swapping it in & out of your home mobile phone during your travels. It is also safer when on the beach or out for the night to carry a low cost Global Phone and a Travel SIM which can easily be replaced if lost or stolen leaving your expensive home Smart Phone of choice in your Hotel Safe or in another more secure location. 5, If the phone seems to freeze up try re-starting the handset and in some cases perform a HARD RESET by removing the battery of the phone. To completely reset your handset, you may need to remove battery and replace or perform the manufacturers reset instructions? It is really appreciated that you carefully complete a detailed report as soon as possible so that the dealer and the full team of support technicians can easily identify any issue you may experience and assist you in rectifying the problem. 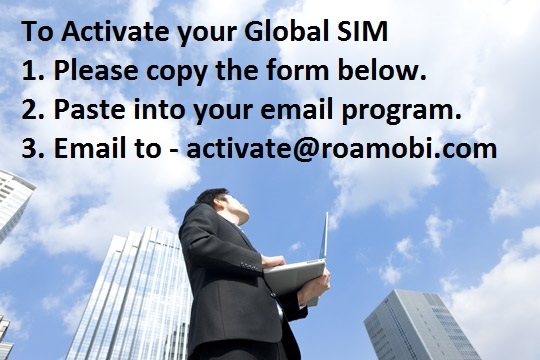 Roamobi is integrating a Softphone for use by travellers to compliment the Global SIM solution where users want to make free calls over WIFI or a mobile data connection. 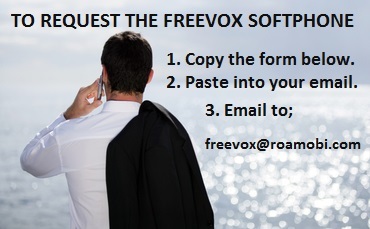 FREEVOX can provide crystal clear voice calls via android and IOS smartphones and can also provide low cost calls to Global SIM users not on WIFI so a great supporting solution to connect Global SIM users with their relatives and business associates whilst travelling.